What more can be said about Harry Potter and the Sorcerer’s Stone? The obsessively beloved first book of the seven book series has been dissected and read and re-read since it first burst onto the Young Adult literary scene. For families raising their children with vegetarian and vegan values, how do the goings-on in a fantasy novel affect their decision to read this novel? And for children who may be on the younger or more sensitive side, are the adventures of Harry Potter beyond reach? 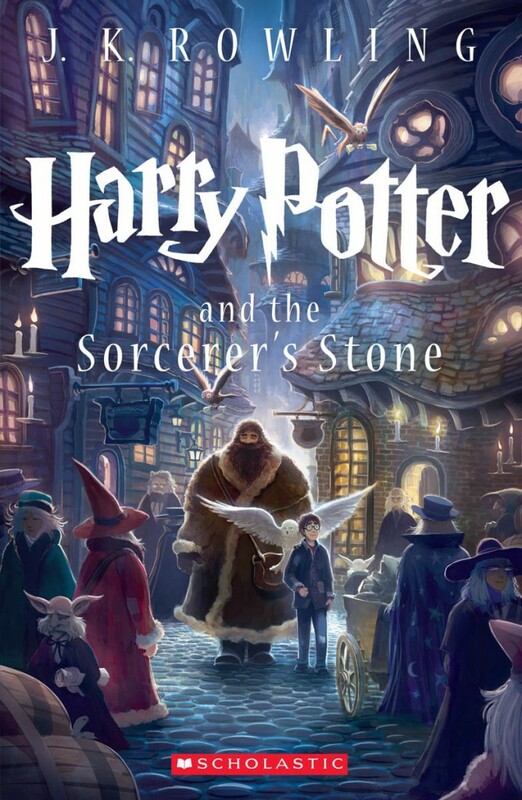 Without going into detail about all 300+ pages, and trusting that readers of Vegbooks are actively aware of their children’s proclivities, I believe that Harry Potter and the Sorcerer’s Stone can be an excellent reading adventure as well as a jumping off point for discussions about treatment of animals as well as difficult social situations. A few moments particularly relevant for families focused on the treatment of animals come early on in the novel. In chapter 2, Harry visits the zoo for the first time in his life, and ends up accidentally freeing a Boa Constrictor. Harry shows empathy with the snake because he knows what it means to be trapped. The scene also takes notice that the snake was bred in captivity, which can be a place to discuss animal captivity and zoos. Later, in chapter 5, the topic of pets is addressed. Particularly owls, which are used as mail carriers, but also rats, frogs, and cats. The feasts at Hogwarts, the magical boarding school where most of the story’s action takes place, are unequivocally meat-heavy. But a lot of attention is also given to the sweets enjoyed by the children, and from the chocolate frogs which actually hop around to the many desserts gobbled up at meals, they are quite inventive. This first book of the Harry Potter series begins with wonders and oddities in the magical world, and characters like the poltergeist and “House Ghosts” may initially disturb some children, but they are soon developed as any other character. A few frightening scenes to be wary of for younger or more sensitive children further on. In chapter 10, the children battle a troll. And despite the humor in “troll boogers” being involved, it can be quite frightening to read. Chapter 15, The Forbidden Forest, includes a scene where a hooded figure drinks unicorn blood. It is explained that anyone who does this is cursed, which attaches a lack of morality to the act. In addition, chapter 17, The Man With Two Faces, is disturbing because of the introduction of Harry Potter’s arch-nemesis Voldemort – who is the second face mentioned in the chapter title. Harry Potter and the Sorcerer’s Stone is a valuable book for children because it doesn’t shy away from the social politics of popularity and bullying. It also intertwines neglect, insecurity, and the importance of friendship as an antidote to it all. It’s an excellent book to read together with a sensitive child, and for those readers who catch the Harry Potter bug, there are many more adventures to enjoy in the remainder of the series. Parents often wonder at what age children are ready for books like this. In the case of the Harry Potter series, it’s important to note that the books get more grave with each volume. However, some children will be excited by the story at a young age while others may self-select to wait until they are older. Overall, beginning the books at about 9-12 has been traditionally recommended. However, many children will want to begin reading the books earlier. It’s important that families are aware of the deep and complicated issues that are so wonderfully developed in the books. Thanks for this review. I’ve been reading this series with my 6 year old daughter, It seems all of her friends are interested in Harry Potter. Two of them had Harry Potter birthday parties this year. So while I think the stories scare her a bit, she’s interested in them because she wants to keep up with her friends. We’re on book two and I think she’ll likely take a break before continuing on with the series. I was really surprised with the excellent zoo scene that you mentioned here. Since Harry is able to understand the snake, the reader really gets the feeling of what the snake feels about being trapped in a cage and being peered at by people that walk by. It was a really powerful scene.